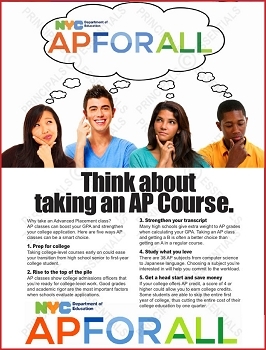 Why take an Advanced Placement class? 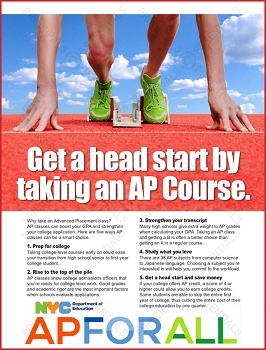 AP classes can boost your GPA and strengthen your college application. 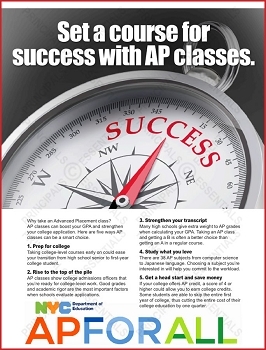 Here are five ways AP classes can be a smart choice. 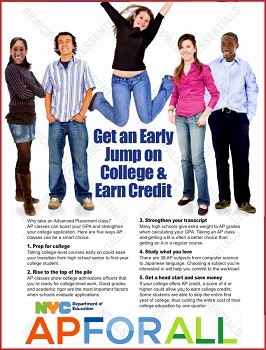 Taking college-level courses early on could ease your transition from high school senior to first-year college student. 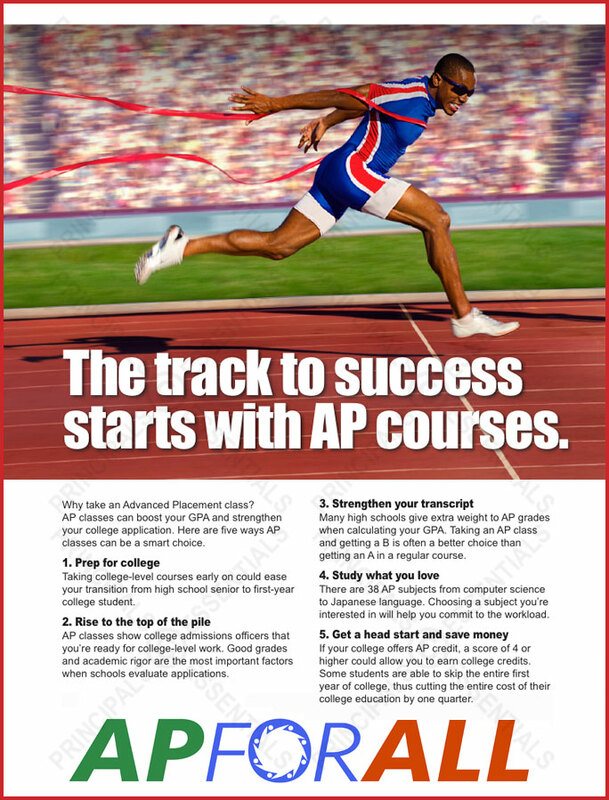 AP classes show college admissions officers that you’re ready for college-level work. 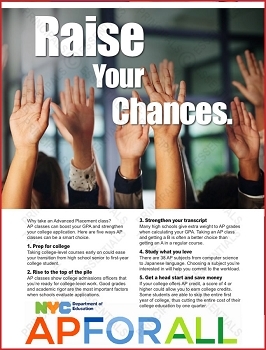 Good grades and academic rigor are the most important factors when schools evaluate applications. 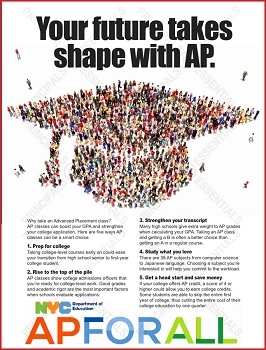 There are 38 AP subjects from computer science to Japanese language. 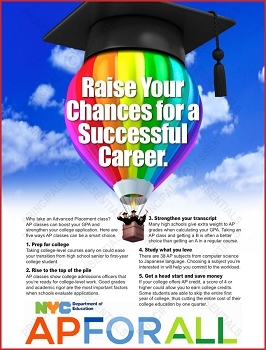 Choosing a subject you’re interested in will help you commit to the workload. 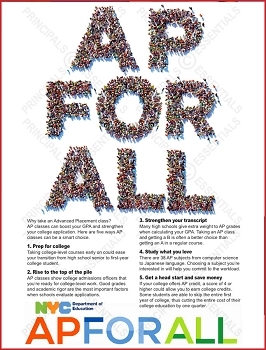 If your college offers AP credit, a score of 4 or higher could allow you to earn college credits. Some students are able to skip the entire first year of college, thus cutting the entire cost of their college education by one quarter. 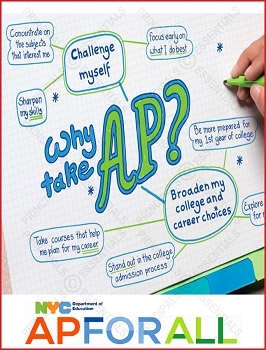 Help start a student's college career with Advanced Placement classes. 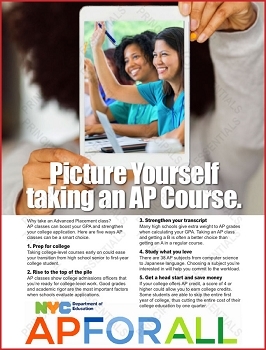 Encourage students to take advanced placement classes. 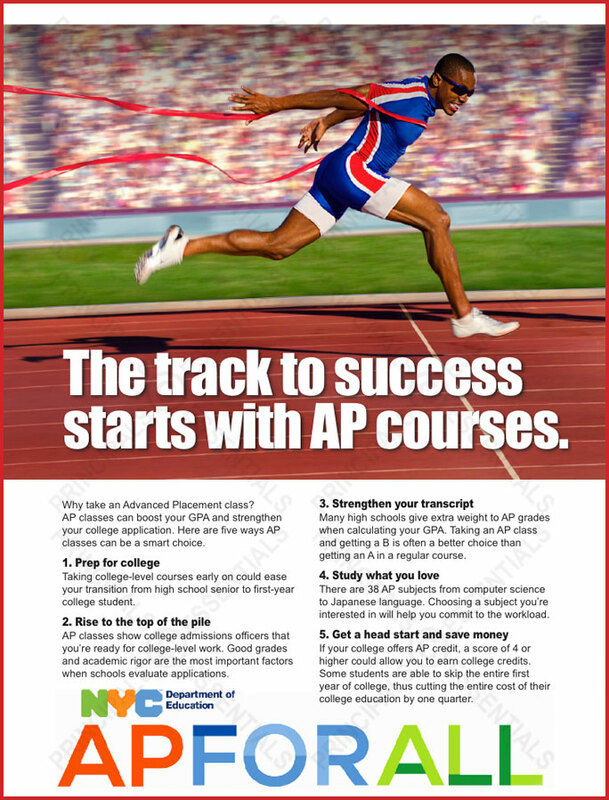 AP courses can boost your students GPA and strengthen college applications. 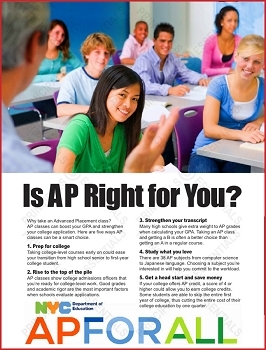 Encourage students to take advanced placement classes.